Globalization makes us come across with people with different culture, ethnicity, costumes, etc. To understand each other, we must able to understand mutual language and gestures. It’s hardly someone, who poses this diversified knowledge. Therefore, we need a middle-man to simplify the communication. Thanks to Google Translate, our digital middle-man. The conveyors of online translation. Google Translate keeps changing itself time to time. Special to mention, the Google Translation app is not less than any magic. It able to recognize not only written script. Perhaps it easily detects the verbal communication, printed-handwritten text in the graphical form and on-screen handwriting. 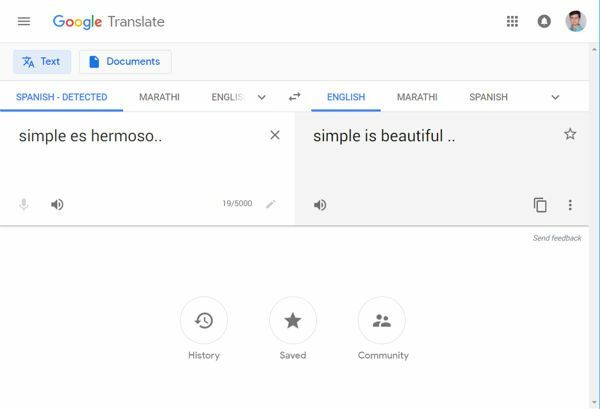 No need to mention, Google Translations is available for free. Web interface for Google Translation has now come in a material theme. It’s looking quite pretty. Something similar to it’s Android app. Most importantly, it carries the same functionalities. Similar to an old one. Includes a virtual keyboard, voice input, listen to the pronunciation, definition and grammatical info.